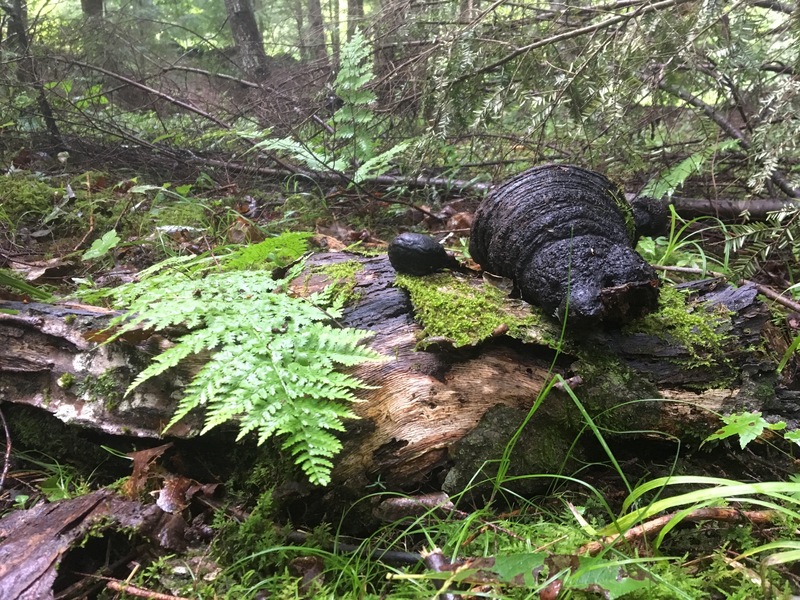 This week’s torrential rain created ideal mushroom growing conditions and the chicken mushroom, turkey tail, ghost pipe, chaga and polypores are all ripe for the foraging. Get out there and pick them, paint them or just generally admire them before they dry, rot, or get eaten by other creatures, like the hungry bears that the July drought had forced towards more urban areas. There’s even a bolete or two in advance of their normal August season. The reservoir is high, creeks are gushing and mushrooms are glowing in the understory like little alien beings. Like a movie cliche, yesterday the dog bound off into the forest to chase a much faster creature than him, and I ran off after them both and stumbled into a grove of hemlocks dotted like acne with polypore and a carpeted with ghost pipe. 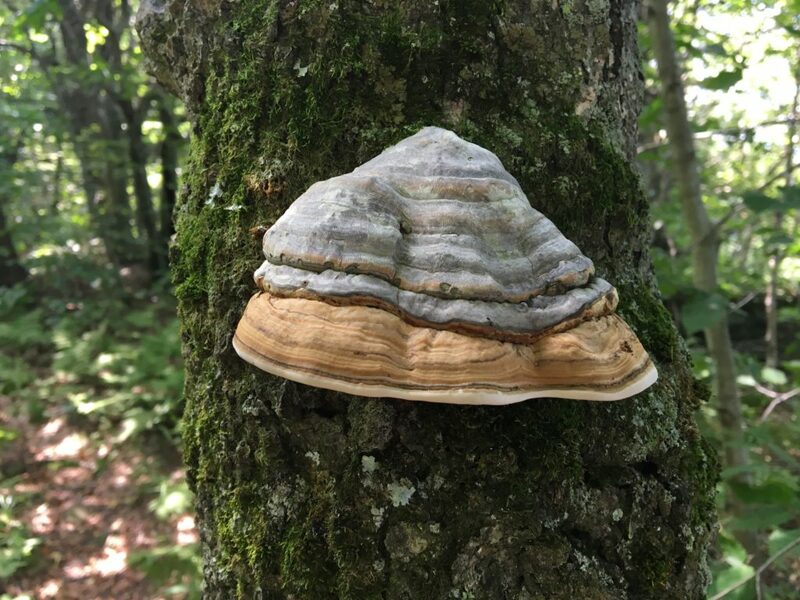 The polypore pictured above is a tinder polypore, good as a fire-starter for campers, was an ancient antibiotic and a sort of chewing tobacco used by certain indigenous Alaskan tribes. 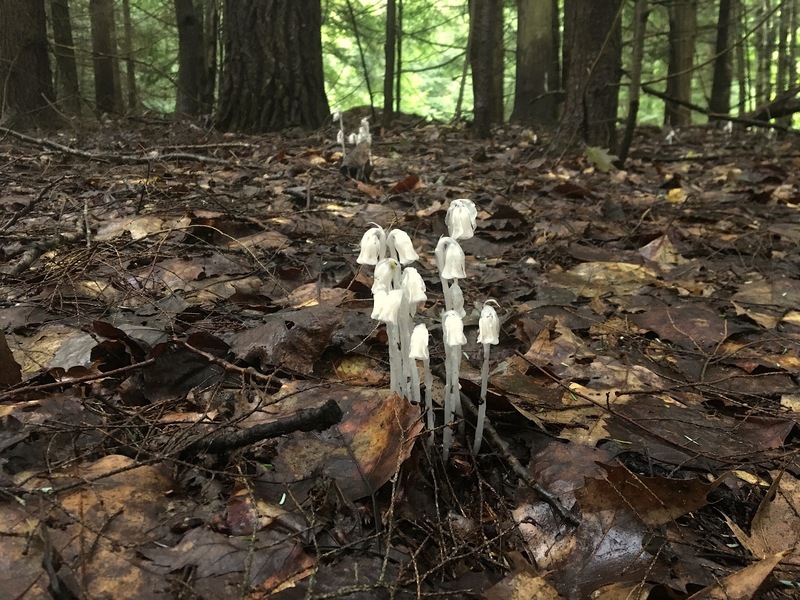 Ghost pipe, not technically a mushroom, is like a tiny forest lantern, glowing from within, looking like a vampire tulip shuffling along the forest floor, with downcast blossom. Dried ghost pipe is reportedly used as a natural pain killer and, because it can’t be cultivated, only take one or two, if you must at all, from a large group. Chaga is widely revered in Eastern Europe and Asia where it’s crushed, powdered and steeped in hot water to make a herbal tea. It’s a very hard brown mass that can be a protrusion or a crusty lump that grows on birch or poplar and looks like the tree has grown a tumor that has burst and then been burnt. Chaga will eventually kill the tree. The chaga pictured just below is old and was found on the underside of the rotting log on which it’s perched. Fresh chaga should be yellow inside. Scaly Vase Chanterelle (below) is NOT edible, but proliferates in hemlock groves. 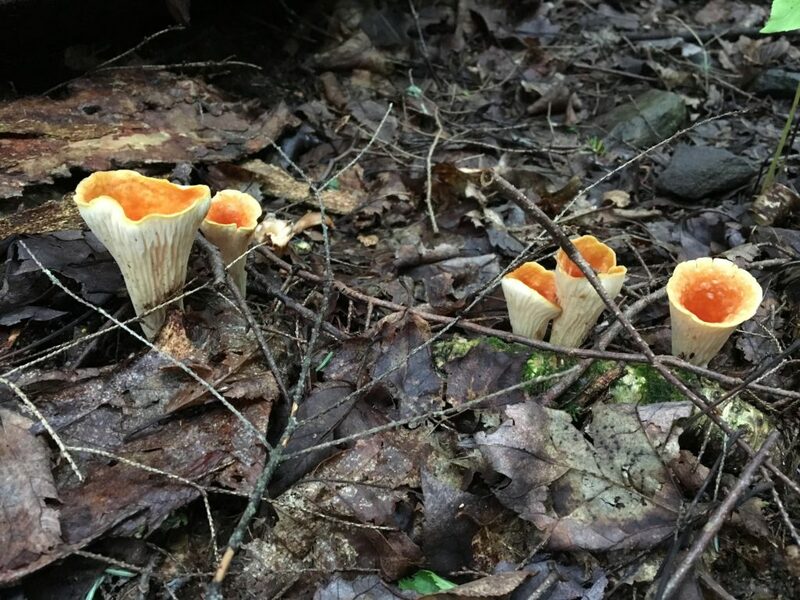 It’s a ugly version of chanterelle: ridged on the outside and looking like it has a horrible case of the pox on its orange inside. Leave it well alone, although it is particularly nice to sketch or paint in watercolor.